Imagine being told you have a chronic and incurable condition and that there is little you can do to halt its progression. This is what it’s like when a loved one has been diagnosed with dementia and the aftermath can be frightening for that person and their family members. But sometimes, it isn’t only the person suffering from dementia who refuses to accept their illness…other friends and family members may also deny it. This denial can be a very frustrating obstacle in finding and getting the right treatment and help for the person suffering from dementia. It can also cause significant risk factors to that persons safety and health if help is not sought out in time. 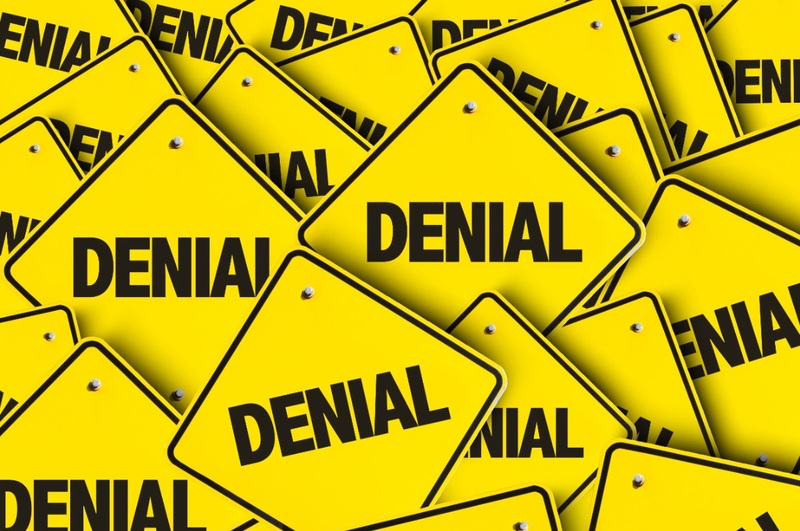 Understanding the reasons for denial will help families to avoid taking unnecessary risks and to come together to help their loved one.Often times, those in denial hope the dementia will just “go away” or that strange and forgetful behaviors are just a one-time occurrence. Unfortunately, dementia is an incurable disease that will progressively get worse, meaning that those strange and forgetful behaviors will only continue to become more frequent and intensify with the passage of time without proper treatment. In the case of a spouse who depends on the person diagnosed with dementia for strength and support, they may fear what that means for their own care needs and independence. The responsibilities of taking over the household or paying the bills scares them. Fear about the future can also lead many people to live in denial of a dementia diagnosis. The unknown of what lies ahead and the plethora of challenges which await are simply too much to bear, so it’s just easier to not think about them. – Having a family meeting can help to provide reassurance and give you a chance to explain the situation to close family or friends. You may want to bring along literature as often fear and denial are a result of the unknown. The person with dementia may or may not want to be present during the meeting, depending on whether they also accept their diagnosis. – Explain that it’s normal to feel worried as a dementia diagnosis is going to leave everyone concerned about the future. It’s important for everyone to understand that the entire family is in this together and that you are all in this to help and support each other and the diagnosed individual as much as possible. – Highlight the consequences of denial. Although you don’t want to scare anyone, it’s vital that everyone understands that failing to accept the dementia diagnosis can be detrimental to both the diagnosed individual and other family members. Neglecting to get the proper help at this crucial stage can mean the difference between starting a proper course of therapy to keep deteriorating health at bay or letting the disease progress at an accelerated rate. A dementia diagnosis doesn’t have to mean the end to life as you know it, but it will require a group effort to keep things as normal as possible for the diagnosed individual and their family members.